BECOME A VOLUNTEER!! Rewarding and Fun! Destination Imagination (DI) receives support from more than 38,000 volunteers throughout 30 countries. Their passion for the DI Challenge Program strengthens and grows our community and allows an increasing number of students to participate each year. DI is seeking new volunteers to help equip students with the skills needed to fuel the economies of tomorrow. We are seeking support from individuals with interests in web design, marketing, fundraising, recruiting, training, social media, event coordination and more. available to directly support students in your area. 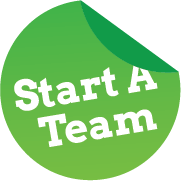 Serve as a coordinator and mentor for two to four months as a team develops a unique solution to one of seven open-ended Challenges. Observe as they reach past their limits and experience the creative process. Support teams and Appraisers throughout the tournament to make it the best experience possible for students exhibiting their creativity. Spend a day immersed in the celebration of teams as you provide feedback and encouragement for their creativity and innovative Challenge solutions. Connect with your local DI organization to find out about volunteer opportunities near you. You can do so by locating your local DI representative here. Contact our headquarters (info below) to learn more.